Carlisle #24 Flo-Pac Kwik-On rayon cotton blend screw top mop. 4-Ply rayon yarn has quick absorption and liquid release which makes this mop perfect for quick spill pick-up and economy floor finish applications or disinfecting. 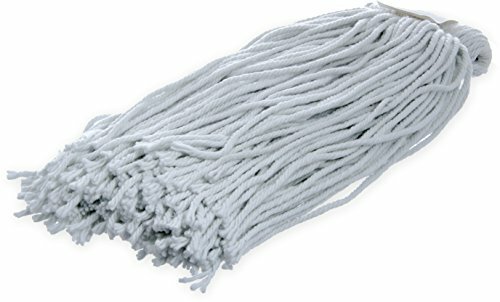 Fast, efficient, and easy to change mop heads. Mops lie flat for more efficient mopping. Rayon yarn mop head.